String art is now easier than ever! 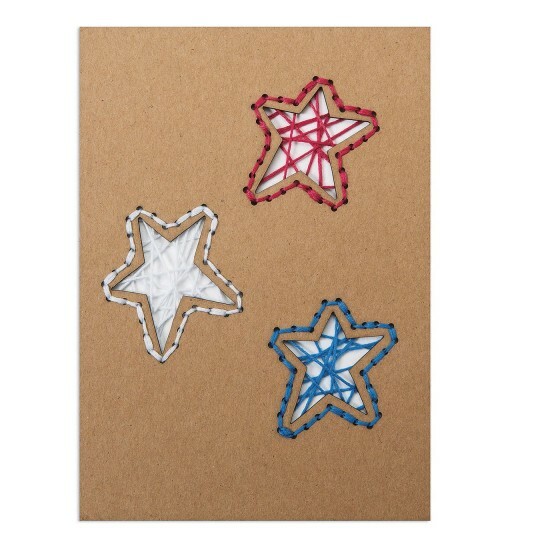 Our exclusive laser-cut picture boards make creating string art-type pictures easy and fun! 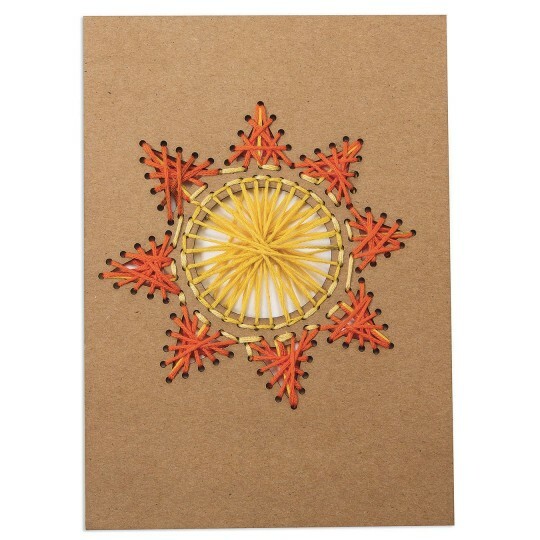 Our exclusive laser-cut picture boards make creating string art-type pictures easy and fun! 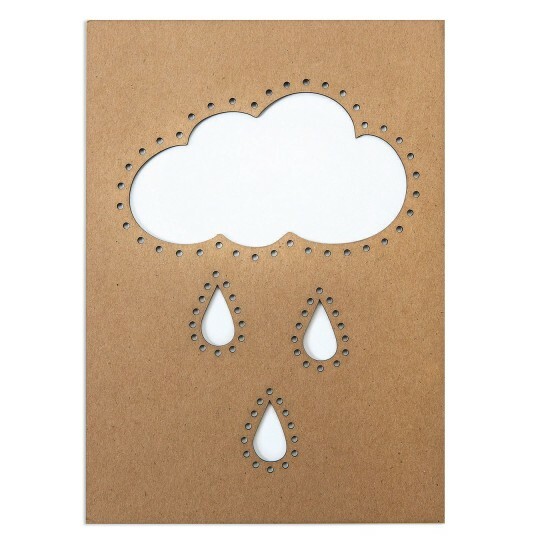 Super sturdy kraft-colored chipboard has laser cut out shapes and stringing holes that are easy for everyone to weave through! 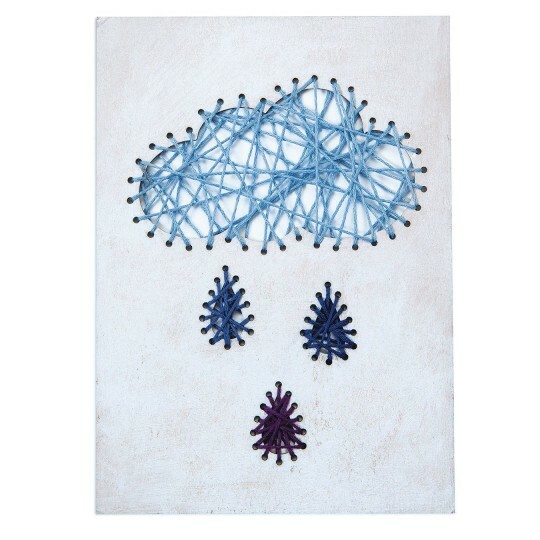 Use floss or yarn to create finished pictures by simply weaving in and out of the holes in just about any order! (Stringing material and needles sold separately.) Boards can also be painted or decorated with markers if desired. 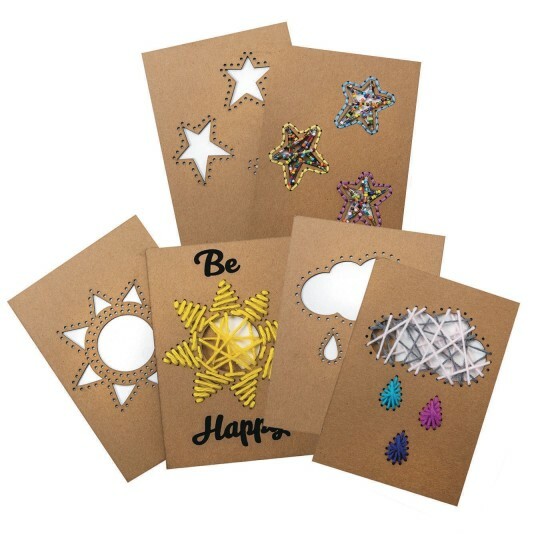 Pack of 30 - 10 each of 3 designs (sun, stars, and raincloud). 5” x 7”. Approx. 1.5mm thick.